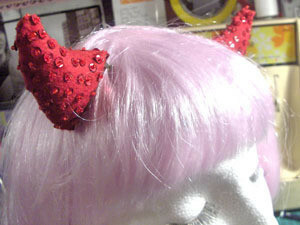 Be devilish with a pair of clip on devil horns. These are great for Halloween and they don't look as silly as the ones with hair bands attached to them. 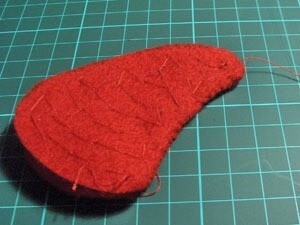 Draw out four devil horns on to red felt using the a devil horn shape and then cut them out. Remember to draw out two horns and then flip the template to draw out the second two reverse horns. 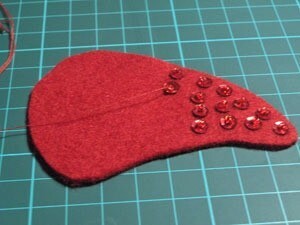 Sew on some red sequins. 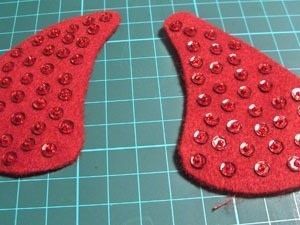 Sew sequins on to the front horn sides and the back horn sides. Lay one horn on top of the other so that the sequinned sides are facing inwards and sew up the edges, leaving the bottom side unstitched. Fold inside out and fill with stuffing. 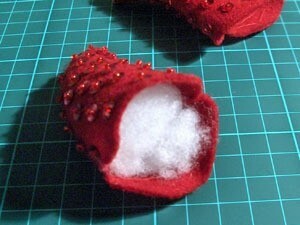 Fold up the bottom edges and sew shut. 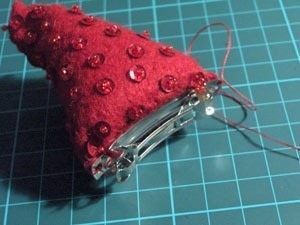 Sew on to a hair clip and they are ready to wear. Says she is going to try this tutorial and make panda bear ears!! Ohhh I can't wait to see them! 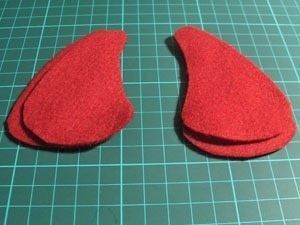 This is an amazing tutorial, i have had the worst of times trying to make a pair of decent horns until i found this. Yay, I'd love to see your version if you make them! Where is the template? 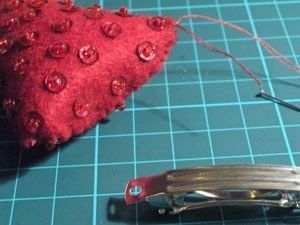 The link: http://images.cutoutandkeep.net/photos/howto/sewing/devilhorns/devilhorn.pdf does not work! How cute. I want to do this with panda bear ears. I have registered just so I can say thanks for the pattern! I will post a photo when I have one. I hope you don't mind Cat. I'mma answer T D.'s question.. There is a link on the very first step on the words "devil horn template" in a navy-ish blue colour.